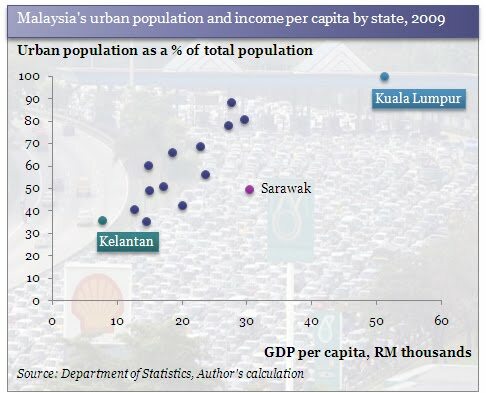 ﻿Everyone in KL complains about the traffic jams, but really there's a good reason why there are tons of cars on the roads... people can actually afford them. Urban economics (a branch of spatial economics) tends to be a touchy subject, because people like to believe that there should be less people in the same vicinity as them. But the importance of urban agglomeration for economic development should not be discounted as economies of scale of production (as in, individual productivity) usually increases when people interact more with each other. Followers of Thomas Malthus: I still like to think people are the answer and not the problem. or...there are tons of cars on the road because there aren't better alternatives for residents of certain locations and fuel is cheap-ish. agreed...people are drawn to city lights due to lucrative prospects and I think...for the most part, when people are trying to make their way in the world and build up some sort of career, that is the logical way to go. Personally, I think cars are the (positive and negative)externality of the income effects of urbanization. Not enough literature out there to prove that negative agglomeration effects tend to swamp out the positive effects - but if current cities are any judge, the returns to labour (wages and real savings) in urban areas tend to be larger than those in rural areas. One of the (thereotical) reasons for urban migration is the differential in these returns, especially when there's surplus labour in rural areas...just ask the Chinese. I do however acknowledge that these returns are not equally distributed amongst the cross section of workers (migrant or not).